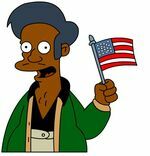 I have always had a mixed relationship with Apu. The long standing joke in many South Asian communities was that he was really our first and most recognizable movie star. Still, he was a caricature of a convenience store owner – one of several typecasts for South Asians that have included taxi drivers and call center workers. While NBC's Outsourced did a great job of poking fun at this with smart cultural humor … it was still a niche. We were still a niche. This past weekend I had the chance to spend time with more than 300 of my fellow South Asians working in the media, entertainment and marketing industries at the SAMMA Summit in NY. In a room filled with leaders from big marketing agencies, movie studio executives, music industry pioneers, actors and dancers there was a lot of excitement. 1. 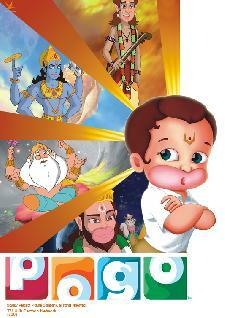 India is growing more important as a media market for expansion. During the lunchtime keynote the President of Turner International Louise Sams shared how Turner is expanding many of their networks including Cartoon Network into the Indian and South Asian market and their ambitious growth plans for that market. Other networks are similarly vying not just to expand their programming and channels into that market, but also working with local talent to produce custom programming specifically tailored for the South Asian market. 2. "Desification" of the music industry. As music composer Salim Merchant of Salim-Suleiman once shared, "internationally, Bollywood is the new hip-hop." This year, there was a lot of attention on Desi Hits! – a website founded by Anjula Acharia Bath where you can listen to remixes of pop songs, see collaborations between popular singers like Brittany Spears and well known Bollywood artists. Desi Hits is also bringing iconic Bollywood actresses like Priyanka Chopra to America, taking musicians like Lady Gaga to India, helping up and coming actresses like performer Anusha and breaking down the boundaries between Bollywood and Hollywood. 3. Being South Asian is no longer a defining or limiting description. As Rishad Tobaccowala shared in his keynote address, "I never wanted to be the best Indian in marketing. I just wanted to be the best person." Today there are more examples of people who are succeeding based solely on who they are and what they do, and not because they are Indian or cater to a South Asian audience. One example mentioned was Frieda Pinto, who reached success initially through her role in Slumdog Millionaire, starring as the female lead in the recently released Planet of the Apes. Over the last several years, there have been many others in Hollywood and on Madison Avenue as well. 4. South Asians pioneer an entire media infrastructure. One of the best discussions of the day delved into the world of South Asian niche media and how there is now a complete ecosystem. From movie theater agreements to ethnic magazines to television channels – South Asian filmmakers in particular have the ability to tap an entire diaspora to promote a new film in a way that can achieve a niche success in a way that many other minorities in the US have yet to build. 5. Individual stories of South Asian success become commonplace. In a powerful reminder that there are South Asians doing amazing work in unexpected industries, there were lots of great success stories. 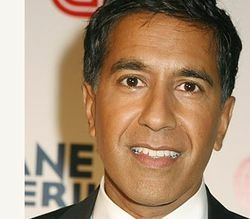 Sunil Gulati, the President of the United States Soccer Federation and Dr. Sanjay Gupta from CNN were both winners of a SAMMA trailblazers award. Legendary media executive Rishad Tobaccowala, Floyd Cardoz winner of Top Chef Masters 2011 on Bravo, Bobby Ghosh (World Editor at TIME magazine) as well as Naveen Selvadurai (co-Founder of Foursquare) were all participating in the event. In one of the highlights, keynote speaker Padmini Sharma from Frito-Lay shared a video from an award winning old campaign from Times of India celebrating the 60th anniversary of India's independence. In it, India's most famous actor Amitabh Bachchan reads what was a cover ad from the Times of India about "One India" (video embedded below). It was a fitting reminder of the power of uniting as a community as South Asians found a moment to gather, reflect and celebrate the growing contributions of our community to culture in the United States. I only hope I don't have to wait a year for another moment to celebrate.